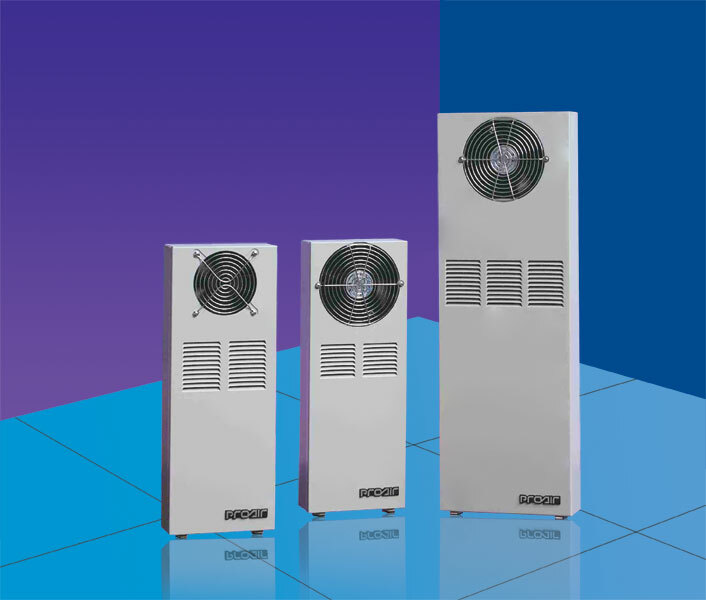 These Compact models are ideal for handing small cooling needs that can withstand a minimal temperature rise above the ambient . HighCFM ball �Cbearing fans and our unique Modified Heat Pipe Core provide ultra-efficient heat transfer with low power consumption . Mounts partially recessed ,or can mount on surface with adapter box . Filterless design ,covers can be easily removed for simple cleaning if necessary. Mounting gaskets, drawings and instruction manual furnished.